If you are like me, you appreciate the power of email, but clearly see how distracting and even destructive it can be. Can you remember being in the middle of a conversation with someone when they were distracted by an email popping up on their phone? Have you ever had plans to start on a new project, but a quick email check completely derailed your intentions, because the 5 minute check turned into a 2 hour session? This week, my mornings started with the views shown above from either early morning hikes, or journaling and meditating on our roof. Even though I knew there was email waiting, and was even a little curious about what might be in there, I didn’t want to give it the power to steal my attention. I knew if I fueled my body, brain, heart and soul first before jumping into my inbox, I could respond to email more thoughtfully and plan my day around what mattered most to me. If you use email on a daily basis and want to take back the power of prioritizing your day, use these following tips to deprioritize your email. 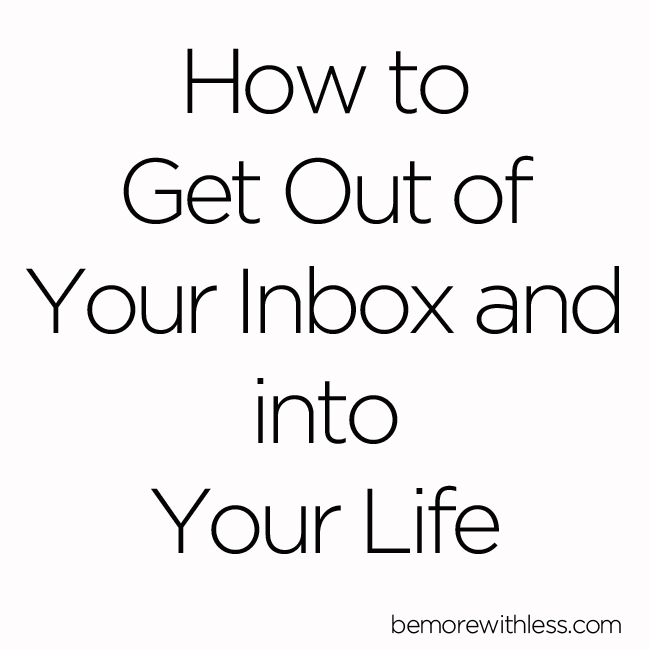 They will show you how to get out of your inbox and into your life. 1. Set Limits and expectations. no email before 10am, or after 7pm. Experiment and be flexible until you find something that works for you. The expectations are for everyone else. Let co-workers, clients, and even family know what your limits are and the best way to reach you if they need an immediate response. If you get a notification every time you get an email, you are setting yourself up for a day of complete distraction and overwhelm. You don’t need to know the moment a new email arrives. You run your email, or it will run you. 3. Try a weekend autoresponder. I’ve never been a fan of autoresponders, but as a solopreneur, I can see the value and may be experimenting with them moving forward. My friend Sarah shares great examples of creative autoresponders and makes recommendations about what to include in this article: How to Ignore Emails without Alienating Everyone. 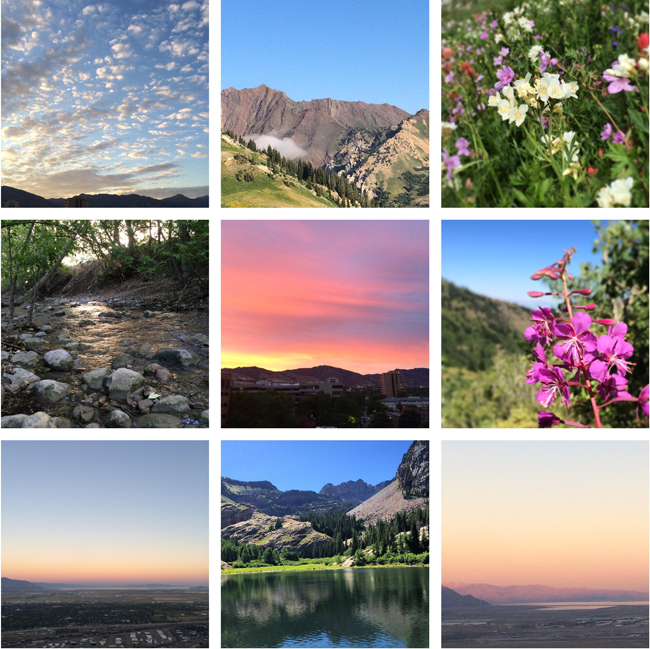 I’d really like to disconnect from email on weekends, but because the internet is open 24/7, I want to be available if you have trouble with a new course, or something else on the site. I think a thoughtful, informative autoresponder might be the answer. 4. Be brief and kind when you respond. Most emails can be answered with only a few sentences and brevity/getting right to the point demonstrates that you want to serve while valuing everyone’s time, including your own. 5. Get sacred with your space. While you can’t prevent 100% of the nonsense that arrives in your inbox, take responsibility for what you let in there. If you subscribed to a list or website that bombards you with sales offers or deals all day long, remember that you gave them permission (and you can take it back). Instead of complaining about how annoying the offending company is, unsubscribe or filter out as much junk as you can to protect your inbox. If you make it a sacred space, you’ll think twice about signing up for something you aren’t really interested in. Make room for the good stuff by saying no to what doesn’t serve you or your work. Take back your power to pay attention to what matters to you first thing in the morning. Take back your clarity of knowing what does matter to you. Take back ease and joy too. If you want to connect, create, and thrive, get out of your inbox and into your life. Great suggestions! I have recently started setting limits on email and other similar things (like blogs I read), telling myself that I can spend 1 hour and whatever gets done gets done and whatever doesn’t doesn’t. It works really well and helps me prioritize. A friend and I were talking about this very thing last night over a glass of wine as we both heard our phone alerts dinging and tried our best to ignore it and focus on the conversation at hand which was: We’ve both had issues with our husbands pointing out we like our phones, and thus our jobs, more than them. Sometimes, yes 🙂 but knowing they’re feeling ignored, I need to put these tips into action pronto. Love these tips, Courtney. I do have some trouble with the “brevity” one, though. I’ve received some emails that are so brief, I wonder if the person really cares. I want to balance valuing my own time with offering a sense of connection to the person I’m communicating with. I’m challenged by all the e-mails I receive that I never invited into my e-mail box, but they arrive because my email is on my site: all sorts of requests and offers. Maybe it would be better to use a comment form to cut down on these. I’m not sure where to go with this. Sandra, My first pass through email usually goes something like this: delete.delete.delete. (repeat) You could try a comment form, but I still think you’ll get the unsolicited stuff. Most junk is easy to spot without opening. Rule #1, if they don’t use your name … delete. For instance, dear webmaster, dear Always Well Within, dear blogger, hi friend … delete. I actually have a different email for my blog than for personal use. Maybe you could implement a specific blog email for people to contact you. If you decide that they are someone you want to communicate with more frequently you can transition them to your personal and private email. That way you can check personal email more frequently and the blog email only a few times per week since it’s generally unsolicited. These are great tips. I use my phone for personal email only, definitely no work email on my phone. If I really need to check it on my phone I can always use the web browser. Also I’m very big on unsubscribing from emails that I don’t need. The less email you get the easier it is. Unfortunately my job means I have to be connected to my email M-F 9-5 but that doesn’t mean I have to check all the time. I actually love and utilize the notifications that pop up on my computer screen, it gives me a quick glimpse of whether I should pause what I’m doing to respond or if I can wait until the end of the day to get it. I typically check my email first thing when I come in and respond to what I can and flag things that need to be responded to later. Then usually around 4 I see if there is anything else I need to respond to. Totally agree with you Courtney. Thanks to the motivation you are giving through these posts. i have actually begun the journey to simplicity and started to make some meaning morning and evening routines to feel relaxed and rejuvenated for the rest of the day. Limiting exposure to email is definitely one of the important things and I will begin working on that too. Great suggestions and now I know why my sis is responding with one or sentences to my e-mails. At first I thought she didn’t want to bother with me, but now I see the wisdom of being brief and then going on to finish up other e-mails. My time has been taken up with many “rabbit trails” that lead to no where for me and takes me away from my writing. Thanks for all these tips to make my time count for eternity (and for finishing my book). I only check email once I am done with all the most important tasks of the day. This way I do not get distracted. I also created a calendar for my activities to help me keep everything on track. The auto responder is a great suggestion and I will sure look into it and see if it will work for me.